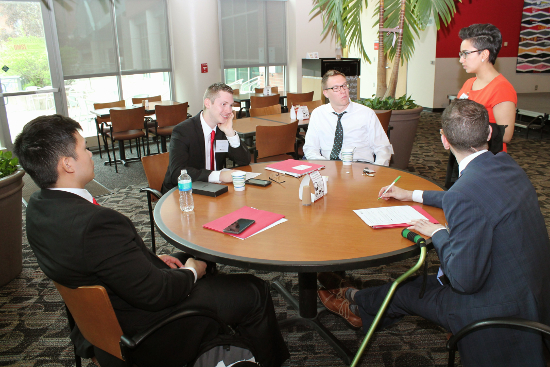 The College of Business and the International Business Institute host the annual Case Competition where global challenges provide eager students with opportunities to showcase their critical thinking skills and business talents. Students from regional universities come together as they square off in teams against one another in this two-day event. 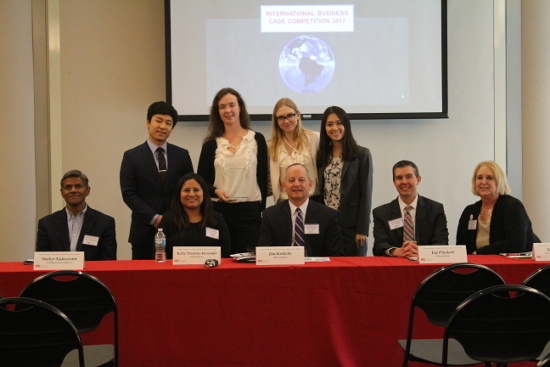 The UMSL International Business Case Competition is unique in presenting students with an actual issue that a company is currently confronting in its global business interactions. Students apply their classroom knowledge to real issues just as they would with similar problems in their future careers. 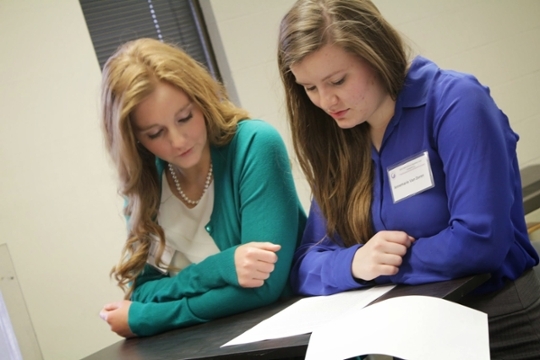 The teams are critiqued by a panel of judges without knowledge of the school they represent. The judges are high-ranked executives from St. Louis companies that are doing business globally. This is a great way for business students to learn how to work in teams, under very tight time constraints, and be able to achieve a solution that is well researched and feasible to reach. The next IB Case Competition will be hosted by the University of Missouri - St. Louis in April 6th-7th, 2018. The registration fee is $250. There are eleven places left to be filled - first come - first serve. For more information on how to register your team, contact Emily Lane (laneem@msx.umsl.edu / 314-516- 6297 or 314-578-7514). Case Competition 2017 - Edward Jones, Who is the Client of the Future? 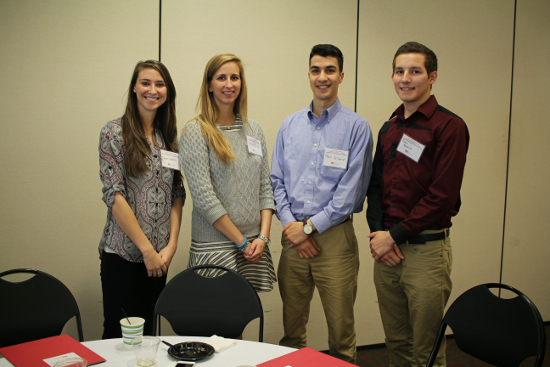 This event is co-sponsored by CUIBE - The Consortium for Undergraduate International Business Education.